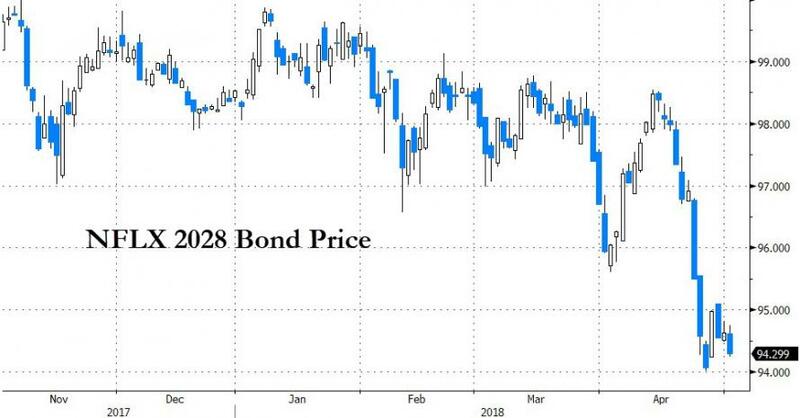 The high yield bond sold for par last week and is now trading with a 95 handle, which, as Bloomberg reports, stands in sharp contrast to the outsized orders the company saw when it marketed its debt in primary markets last week. The company had initially sought to issue $500 million of the securities, but decided to upsize once the orders came pouring in, a person with knowledge of the situation said. The seemingly odd-lot number of $702 million was chosen in part because the company considered it a lucky number, another person said. WeWork’s deal underscored the risks investors have been willing to take in the new-issue market as they struggle to find high-yielding assets. The office-space leasing company joined a wave of high-flying cash-burning firms that have managed to recently tap debt markets, like Uber Technologies Inc. and Netflix Inc. The bond was the most active in the U.S. high-yield market on Monday, Trace data show. 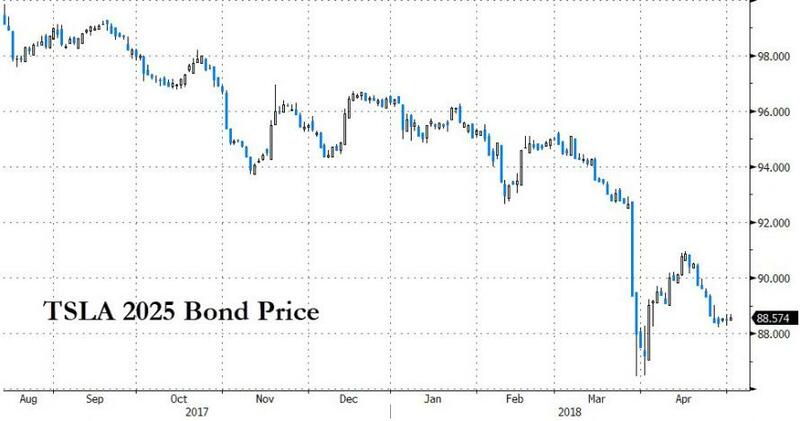 While Bloomberg puts this down to simply "buyer's remorse" - we suspect it has more to do with the company's financials actually being exposed to the cold light of day. 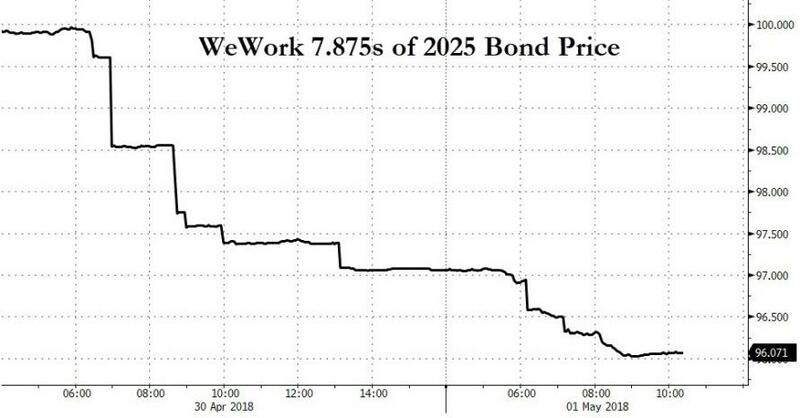 Fitch, which rates the bonds three notches into junk (BB-), pointed out that WeWork already has existing debt consisting of a $650 million revolving credit facility and $500 million letter of credit reimbursement facility. Another $13 billion in lease payments come due in the years after 2022, according to Bloomberg. 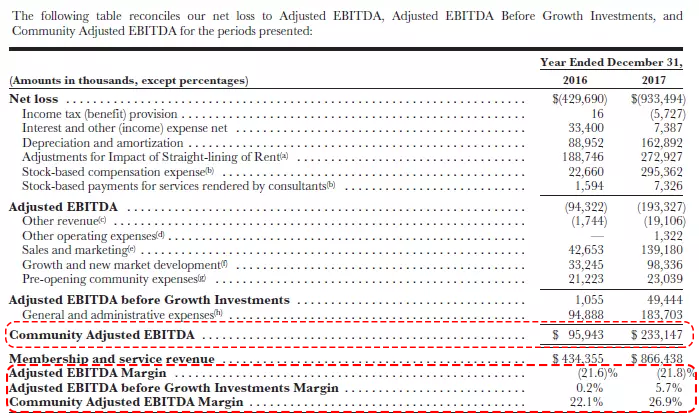 That’s some real money that a money-losing company must somehow obtain. These are 10-year or 20-year office leases. They’re a fixed expense that doesn’t decline when business drops off. As such, they pose a special risk: WeWork’s customers rent their space on much shorter terms, even month-to-month. When things get tough, they can just ride off into the sunset after their short-term leases expire, leaving WeWork to sit on expensive and vacant office space with stale craft brew on tap at the lounge. Investors in junk bonds of such cash-burning unicorns take only slightly less risk than late-stage equity investors, but have zero upside. 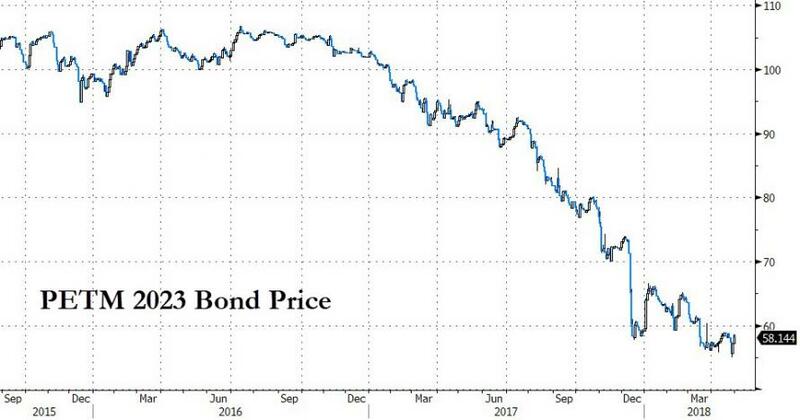 All they get is the yield for however long the company manages to pay the coupon, and if they’re lucky, they get their money back when the bonds mature. That’s the best-case scenario. There is no upside.